I came across this article from Luxury Insights and wanted to share it with you. I just had a property that would not sell, I convinced the sellers to let me stage the property, and two weeks later, I have it under contract! We know that good photographs help to sell homes more quickly. 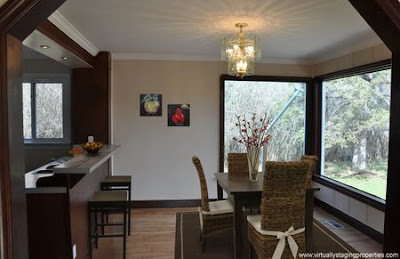 More often than not they are the potential buyer's first visual introduction to the property. Whether it is online, in a printed brochure, a magazine, or other publication, photographs often make the first impression and influence what's to follow ("Ewww...next!" or "Oh, look at this. Let's go see this one!"). On a basic level, photographs of a home give us lots of information about the layout, style, size, and condition of a property. Is it an open plan featuring large living areas with high ceilings and lots of light? Or is it a Queen Ann with a gingerbread porch and a small parlor with bay window? The photo is well exposed, in focus, and the camera wasn't at some odd angle or perspective. 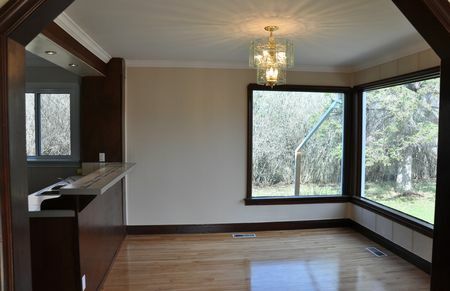 (These should all be givens, but look at the photos that accompany some listings, and you really start to wonder...). We see a simple, unfurnished room with wood floors that appear to have been recently refinished, crown moulding, base moulding and a door of a style that suggests an older home. A floor register suggests a forced air HVAC system. 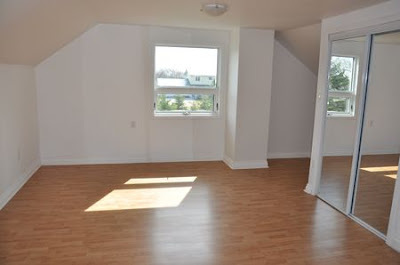 Because the room is unfurnished, it's hard to tell which room it might be. Is it a bedroom? What furniture would you put in this room? How would you live in it? Without more information, you probably can't answer these questions. Neither can the potential buyer. That's one of the challenges of selling an empty home. Staging makes a difference, huh?! 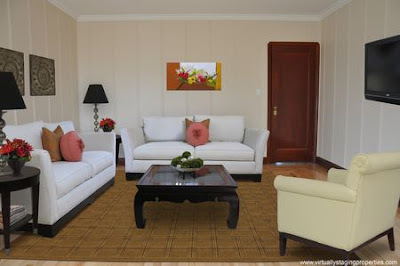 Here we see that it's a cozy living room, tastefully decorated with a sofa, love seat, tables and chair. It looks like a nice spot to sit with a drink and visit with friends, or relax and watch some television. Which image do you find more appealing? In the second photo, the furnishings immediately tell us the function of the room, give us a better sense of its size, and present a warmer scene in which it is easier to imagine ourselves enjoying the home. Even if it is "just staging," it highlights the potential of the room in a way that a buyer might not otherwise see. Empty homes present special challenges in showings and in photographs. 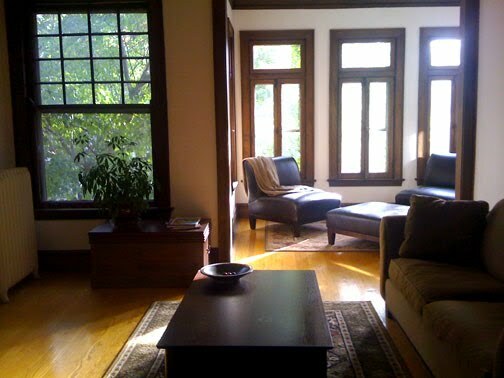 It can be hard for potential buyers to see past the emptiness and envision how they might furnish and live in the home. In photographs of empty rooms like the one above, my eye is often drawn to details of contrast like mouldings where surfaces meet and vents in the floor. As a result I think more about the structure, materials and finishes. On the other hand, in photographs of staged or furnished rooms my attention is pulled away from the little details of the floors, walls and ceiling, and I take in the whole scene. It is much easier to imagine actually living in the space. The stage is set, the only thing missing is the people--and my mind can easily fill in that blank! If you haven't realized it yet, all of these images were "virtually staged" meaning that the furnishings were added digitally to the original photos of the empty rooms. In the perfect world, you could elaborately stage every home for showings and photographs. In the real world, circumstance and marketing budgets sometimes make staging homes impractical. This is true for starter homes, like the one above, as well as luxury homes. 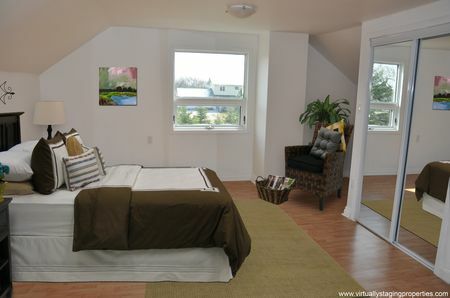 Virtual staging can be a great, and much more affordable option. When you do use virtual staging, you'll want to be sure to disclose that the images are digital renderings or have been modified. Check with your broker for the appropriate disclosure terminology to use. Of course the resulting images can be used in the property marketing materials online and in print, but they can also be used in the home during showings. Some agents do large prints and mount them on easels throughout the home. This makes it easy for possible buyers to see past the emptiness and recognize the potential of the rooms, or even to envision alternate uses for furnished rooms--it's an easy way to help the buyer see that the sewing room could become a well-appointed home gym. Photographs are full of cues which tell us about the tastes and lifestyles of the homeowners. This is important, especially in the luxury market, where lifestyle is one of the key factors driving purchase decisions. Virtual staging gives you great flexibility in speaking to the tastes and lifestyles of your best prospects and positioning the property accordingly. Done well, it certainly beats an empty room. Offered at $225,000, This amazing two bedroom/one—very large—bath, condominium is located on the second floor of a vintage six-unit brick building in the Rogers Park neighborhood of Chicago. This property is located two blocks from the Loyola El stop and just four blocks from Lake Michigan. 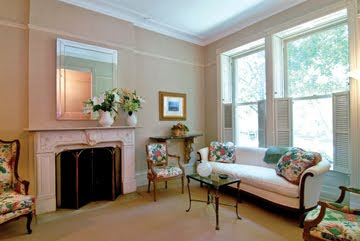 The large light-filled rooms have over-sized windows, hardwood floors, wonderful moldings, and 9 foot Ceilings. Other highlights include a sun room, sun porch, formal dining room, eat-in kitchen, in-unit washer and dryer, large closets and basement storage area. This property has a beautiful shade garden with a shared patio. Easy street permit parking. This Tuesday, I will be hosting a Broker's Open from 11-1 for the amazing home at 2331 N. Cleveland in Lincoln Park - Chicago. Located in the Lincoln School District, this five bedroom, two-and-one-half bath home is perfect for any family. The home boasts wonderful architectural details including two stunning fireplaces and exquisite wood moldings throughout. The property has a detached two car garage and established gardens which sit on a two-hundred foot long plot of land. Priced at $1,795,000, this property's beauty, elegance and charm are welcoming. Come and experience this property for yourself. All Brokers are welcome. This historically significant home—built in 1884—features many of the original architectural details. The property boasts a formal parlor with pocket doors and window shutters as well as a wood-burning fireplace surrounded by a stunning limestone mantle. An elegant formal dining room includes a china closet and a beautiful warming cabinet. The light-filled, eat-in kitchen has ample space for food preparation, entertaining and storage. A handcrafted wooden staircase graces the foyer and leads to the second level where four bedrooms and the master en-suite are enhanced by light from a stain glass skylight. From the main floor, the staircase houses a unique entrance to the home’s lower level. Located in the Lincoln School District, this fine estate is situated on a two hundred foot deep parcel of land with a two-car garage and established gardens. 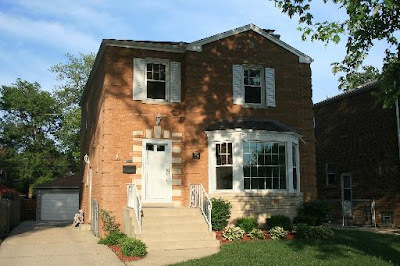 For additional information, or to view this property, contact me at 773.519.1340 or go to genebiondi.com. 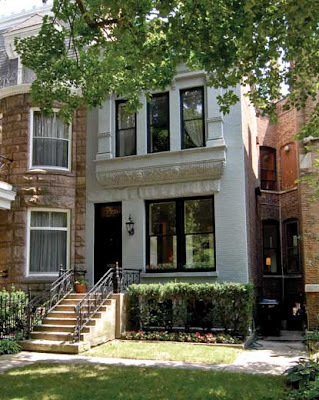 Soon to be listed, this prime piece of Chicago Real Estate is tucked away on a quiet side street in Chicago’s Lincoln Park. It is filled with many of the original details from when the home was first built… shortly after the Historic Chicago Fire. 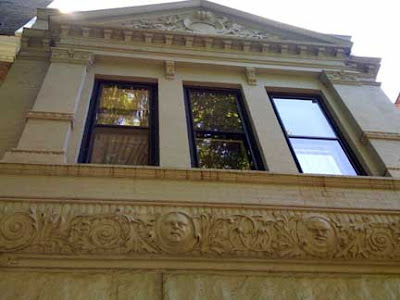 Shown above, the stone façade of this regal structure. Additional images and information on this property will soon be published at BiondiLuxuryHomes.com. Contact me at 773.519.1340 with specific questions. For additional images and information on this property, contact me at 773.519.1340 or go to genebiondi.com. This stately, extra-wide Georgian has wonderful space for living and entertaining. The large living room and formal dining room—along with a half bath on main floor—provide all the necessities for the perfect dinner party. New stainless steel appliances, granite countertop and custom maple cabinets are the focus of the eat-in kitchen. The second level features three large bedrooms and a recently updated bathroom. 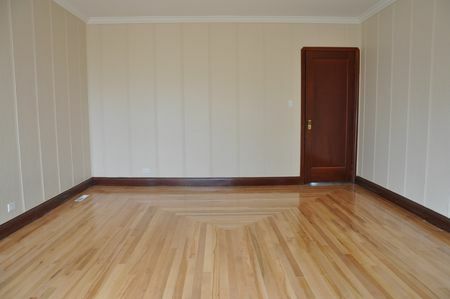 Hardwood floors are featured throughout. Additional assets include a finished lower level, 2-Car garage with side-drive, new electric, windows, plumbing, tuck pointing, furnace and hot water heater. This home—located within the Sutherland school district—is move in ready. 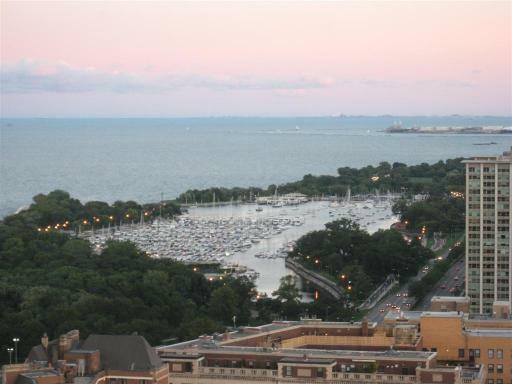 For additional information on this property, contact me at 773.519.1340. I look forward to working with you! Real Estate is my life. I love my work, and I’m very good at it. I have been building my business for the past five years. 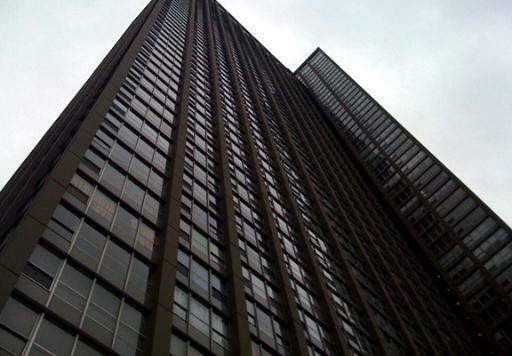 I am ranked among the top five producers in an office of over one-hundred-and-twenty-five agents. My secret is passion. I love my work and I go above-and-beyond to help my clients have an enjoyable real estate experience. Born and raised in Chicago, I have a strong understanding of the various neighborhoods, which make up the city. I have worked with clients from the South Loop to Rogers Park and from Lakeview to the Western Suburbs. Additionally, I am Certified by The Institute for Luxury Homes.